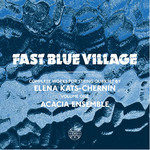 Fast blue village 2 : for string quartet / Elena Kats-Chernin. Works by Elena Kats-Chernin, Annie Kwok, Christopher Willcock and Richard Mills. Previously titled "Urban village 1"
16 Aug 2014: at Bangalow Music Festival: The Future (A & I Hall). 28 Jul 2012: at William Barton and Friends (The Cultural Centre, Townsville). Featuring William Barton, Piers Lane. 1 Jul 2011: at City of London Festival: Piers Lane & William Barton Apothecaries' Hall (Apothecaries' Hall). 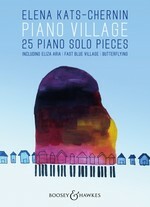 2 May 2009: at Sydney Soloists: Suburban Australia (Campbelltown Arts Centre). 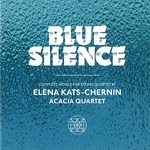 2 May 09: featuring Christina Leonard, Sydney Soloists.